We took these old boats, called Kettuvalloms, and went to work on them as would a craftsman. With some imaginative tweaks to these vessels, we converted them into stately floating homes to cruise the placid waters of the vast and captivating Vembanad lake. Made from natural materials, these spice boats are powered with solar energy and vegetable oils to reduce their impact upon the lake. The crew of these boats are simple fisherfolk, men who know these waters from their early years. However, they do more than just pilot these behemoths, alternating between navigating the waterways, preparing meals for the guests onboard and generally keeping things ‘shipshape’. Their smiling faces speak of a culture that is famed for its accommodating and amiable ways. This is indeed spontaneous hospitality, or what we term ‘hospitality from the heart’, a common CGH Earth feature. Life on the backwatersDuring the cruise, meet and mingle with the locals, who call this their home. 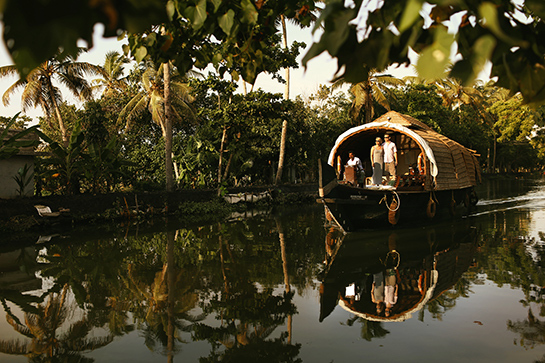 Exploring the watersThe Vembanad lake is a living symbol of biodiversity and is home to diverse flora and fauna. Ask our nature-loving staff for tidbits you can’t Google! 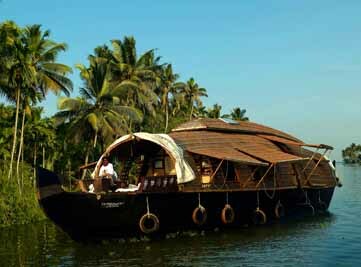 The quaint KettuvallamThe Kettuvallam or 'boat with knots' is called so because coir ropes tied in knots hold the entire structure of the boat together. Mesmerising sundownsCelebrate the breezy, beautiful view of the sunset from the lap of the Vembanad Lake. Toddy tappingAdmire the locals tap the palm tree for fresh sap, which is then fermented for the famous local brew, Toddy. Naturally coveredThe Kettuvalam is enclosed enough to provide both privacy and protection from insects, while keeping you connected with nature all through. 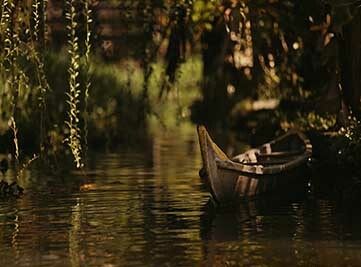 Caring for the lake: We are aware of the great burden placed upon the Vembanad through various activities it supports. On our part, we are deeply committed to its care and ensure that we do not pollute it with our waste, which is duly treated before being disposed of. A new lease of life: The Spice Coast Cruise is set upon the magic of the Kettuvalams - the old boats that have cruised the backwaters of these regions for as far back as memory can take us. They were designed for easy navigation, comfort and for carrying cargoes of spice and grain. The cruise is designed to give you an understanding of the uniqueness of these vessels that are part of a tradition that has not changed much over time, still being built of the same materials and employing the same modes of construction. 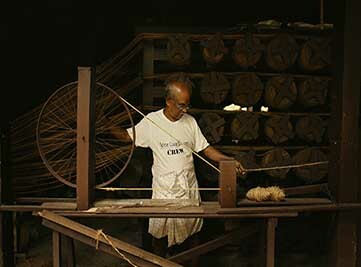 Keeping local skills alive: Our requirements for handspun coir products needed for the Kettuvalam - the traditional boats of these waterways - comes from Kunjunni Chetan's traditional wooden coir making unit. It is a gesture of commitment on our part to this old craft, once was a major economic activity of these parts, and hope thereby to keep it alive.